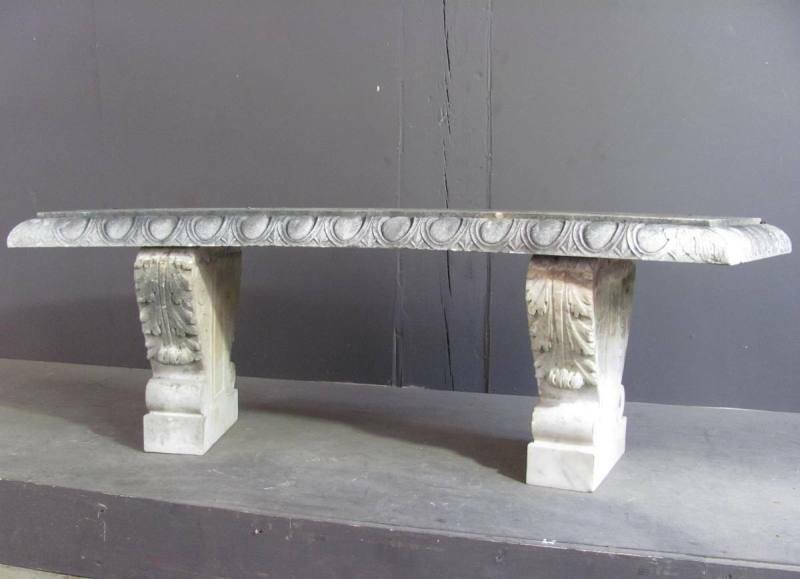 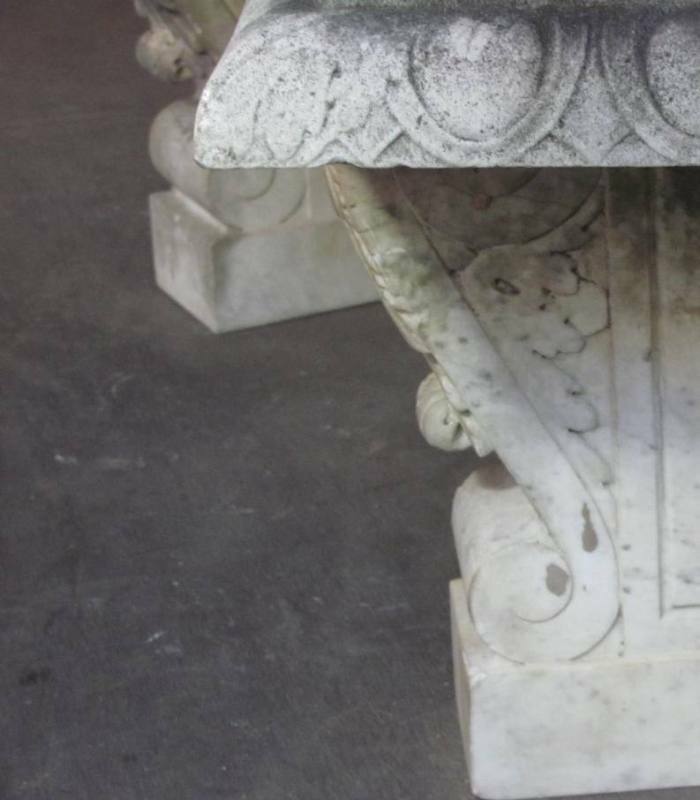 1930's American carved marble garden seat. 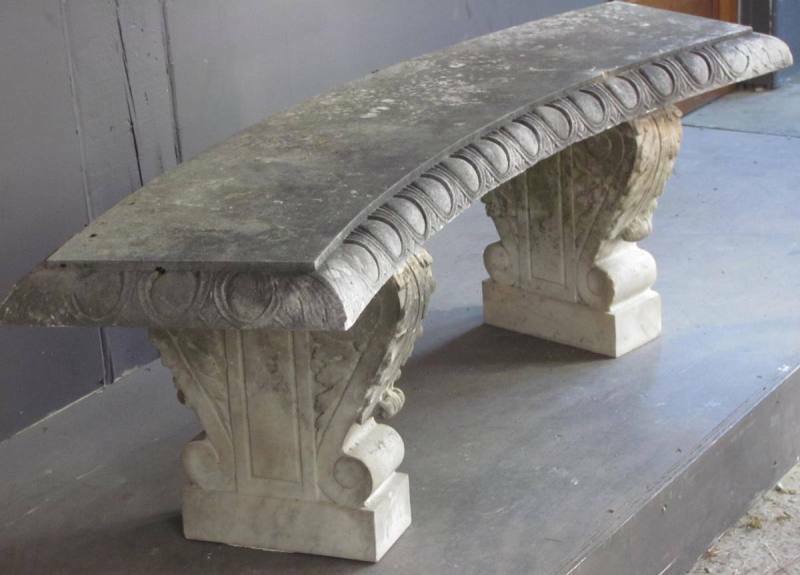 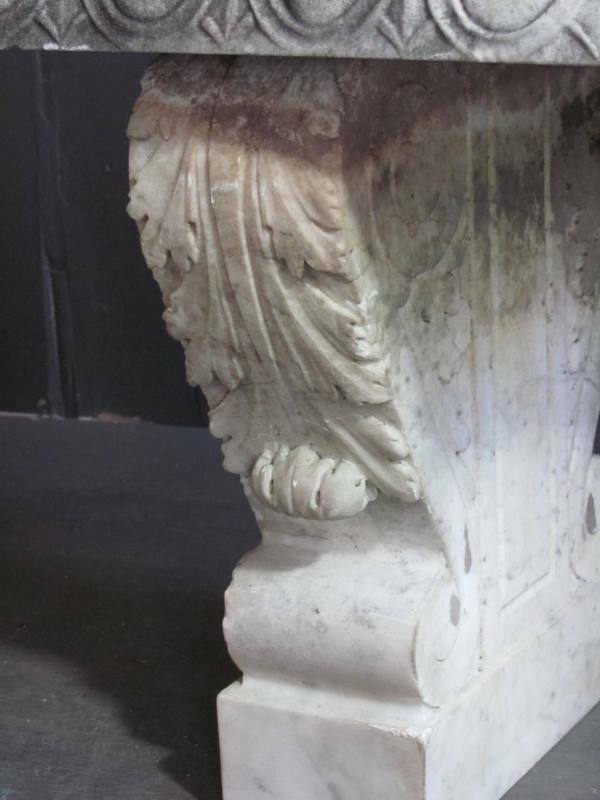 The curved slab top with egg and dart edging sits on two acanthus decorated supports. 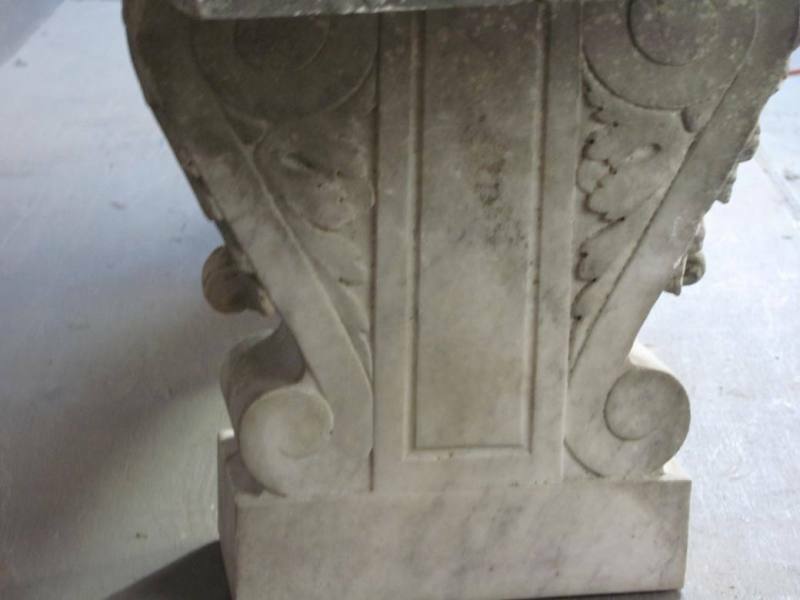 Measurements: Length: 55" Height: 20"